So, you recently got engaged? Congrats!! 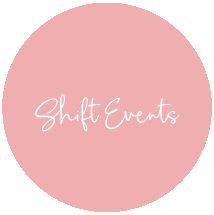 And welcome to Shift Events – a boutique online wedding websites and invitation studio, serving couples around the globe, bridging the gap between traditional and modern. In an age where information is available at our fingertips through the World Wide Web and Social Media, it makes sense that today’s modern couple would look for a traditional wedding with a fresh spin. This has resulted in many couples opting to supplement, or in some cases completely replace, the traditional wedding invitations with a wedding website and electronic invitations. If it sounds like we’re describing the two of you, we’re pretty sure you’ve come to the right place! Ringgg…ringggg, “What are the directions to the church?” Ringgg… ringgg, “When is the bridal shower?” Ring Ring “Did you get our RSVP?” Dealing with the stress and time consumption of planning a wedding is hard enough, having 1000 phone calls per week can just take the fun out of it altogether. You need a personal wedding site. Think of it as your own personal assistant. Wedding websites allow you, as a couple, to share all the details of your wedding with friends and family no matter where they live and Shift Events can do it all for you! Impress your friends and family with a professional looking website complete with background music. 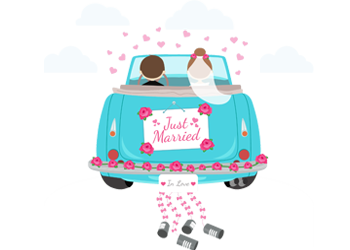 A personalised interactive wedding invitation website designed to share your wedding journey with photos, videos, links to your social media, your own blog, pick a song and much more for you and your guests to enjoy. Affordable, convenient and easy to use. Need A Wedding Website? You have enough to worry about. Talk directly to one of our engineers at Shift Events, we’re here to make sure your day goes off without a hitch.